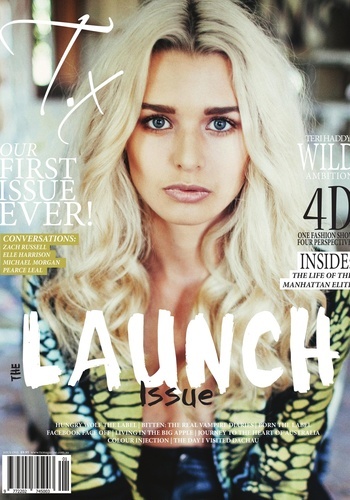 T.x Magazine speaks to style-concious, independent girls who not only care about style, but the world around them. Many magazine’s cater to the intellectual or the fashion-minded individually, while we fulfil the crossroad between the two. Inside T.x Magazine you may be reading a fashion piece one minute, and with the flip of a page you will find travel pieces and real world insiders.